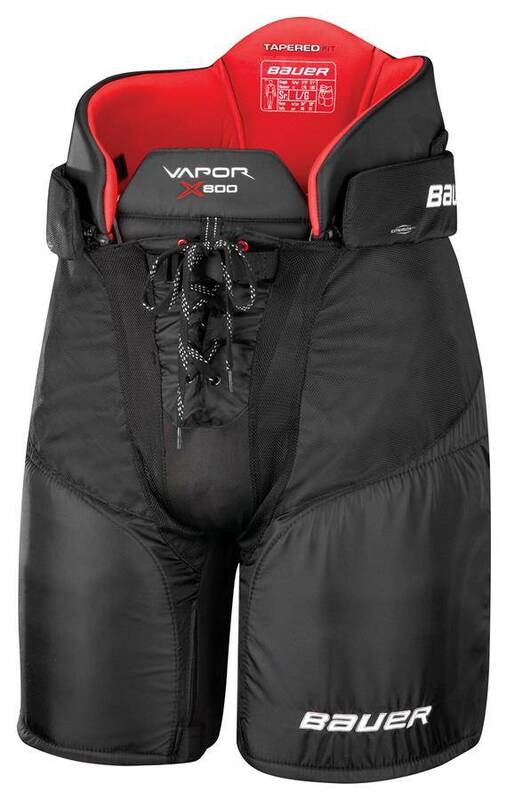 The Bauer Vapor X800 hockey pant is a competitive solid model in the latest Vapor line that features a tapered overall fit. 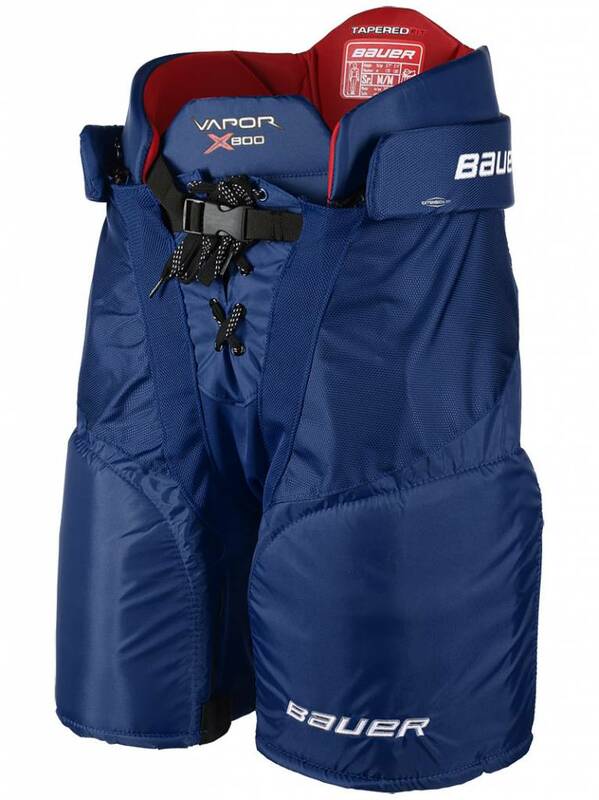 This pant is constructed with a standard fit at the top and a “close to the body” type of fit in the legs. This construction won’t inhibit a player’s ability to skate and it’ll allow for quick and agile movements for ultimate mobility. 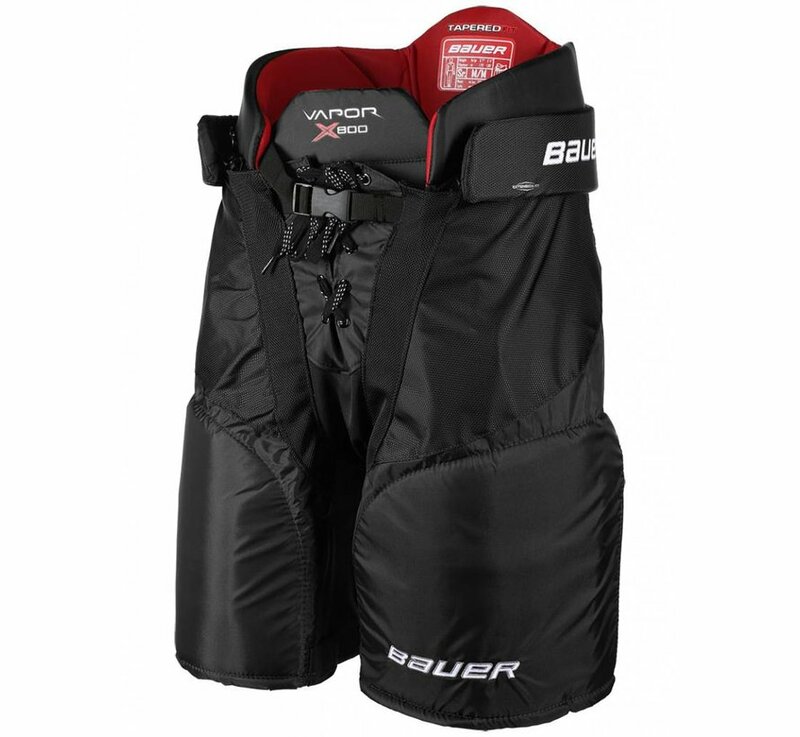 Bauer integrated AEROLITE technology in the spine guard which increases the protection to elite levels while still reducing the overall weight. AEROLITE is a high grade foam with ultra-lightweight properties that offers pro level impact protection, the type you would want for a spine guard. 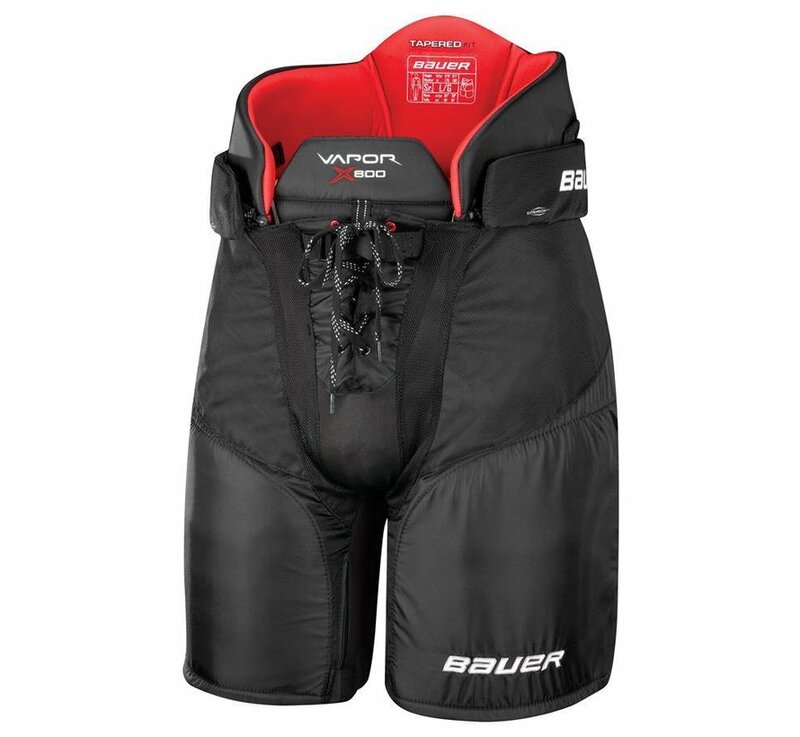 As far as hip, thigh, and kidney protection, molded PE reinforced with MD foams keep this pant protective even at the highest levels. Getting into what holds it all together; the exterior shell is going to be a tough 400 denier nylon known for its abrasion resistant qualities. 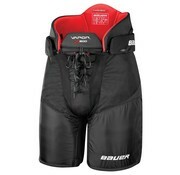 The liner used on the inside is a hydrophobic mesh lining that keeps the player dry and cool during usage.